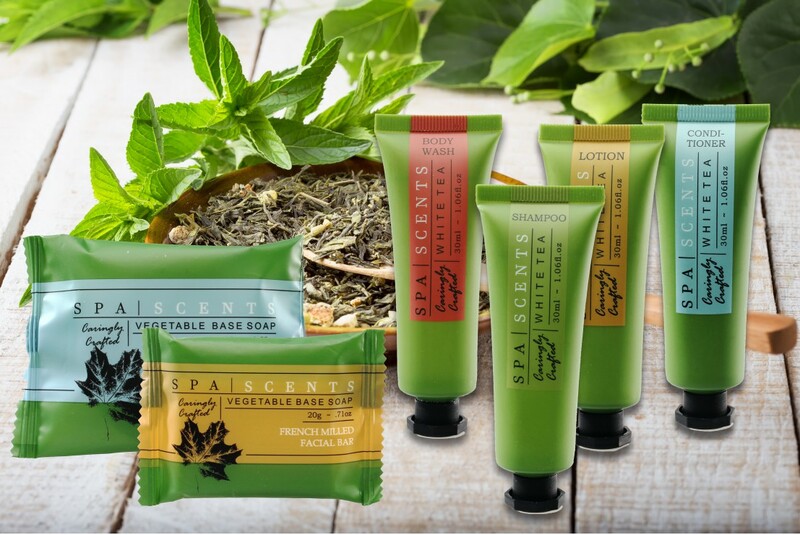 Pamper your guests and allow them to breathe in the sweet, calming aroma of our Spa Scents hotel amenities collection. This elegant, white tea inspired hotel toiletries line includes: travel size hotel shampoo, nourishing hotel conditioner, moisturizing hotel lotion, and foaming hotel body wash. French milled vegetable based luxury and facial soaps, and a assortment of those little extras that will leave a lasting impression with your valued guests. 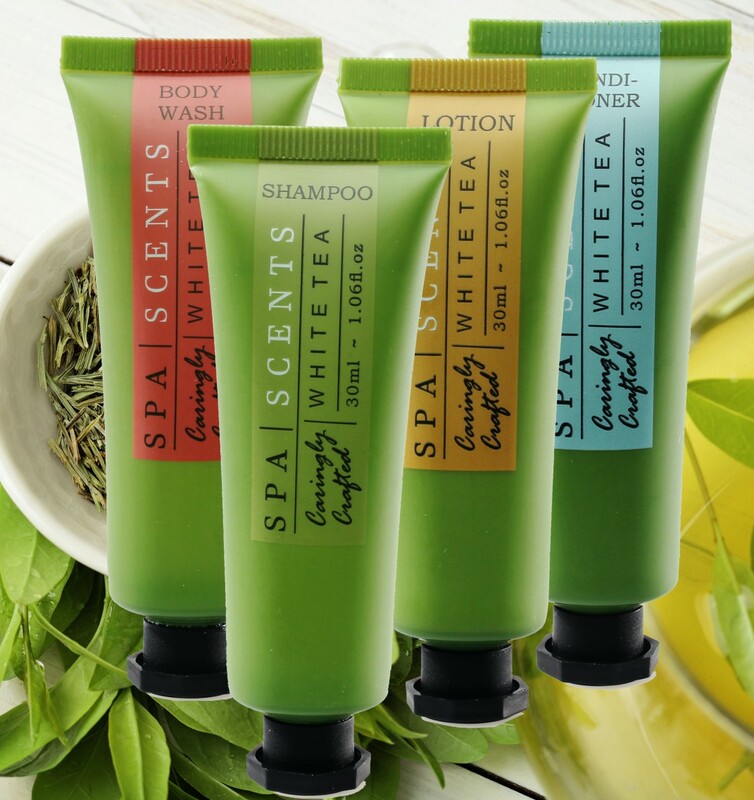 This elegant hotel toiletries line includes: travel size hotel shampoo, nourishing hotel conditioner, moisturizing hotel lotion, and foaming hotel body wash, all packaged in our matte soft squeeze tube. Your guests are going to love it! 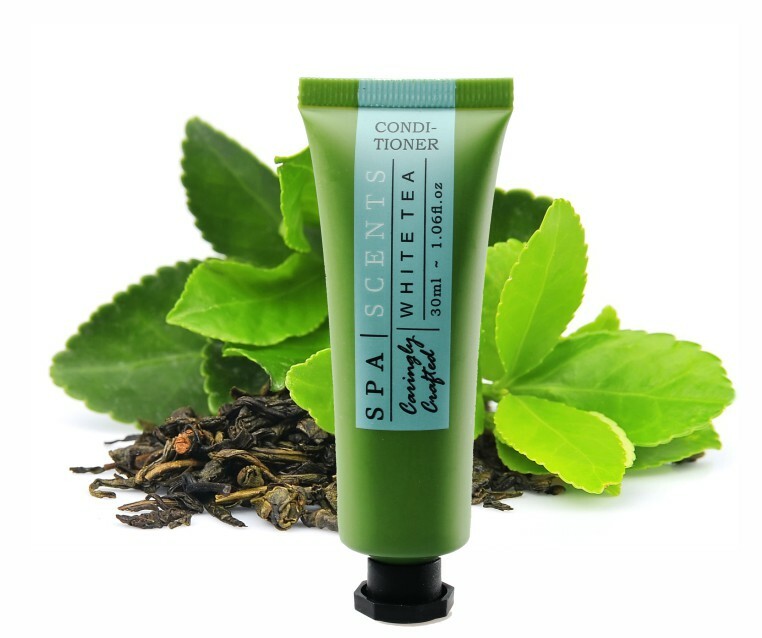 Spa Scents is cleverly packaged in soft touch tubes with easy twist off caps for multiple use and features our convenient color-coded labels, perfect for quick and easy identification of the different liquids. 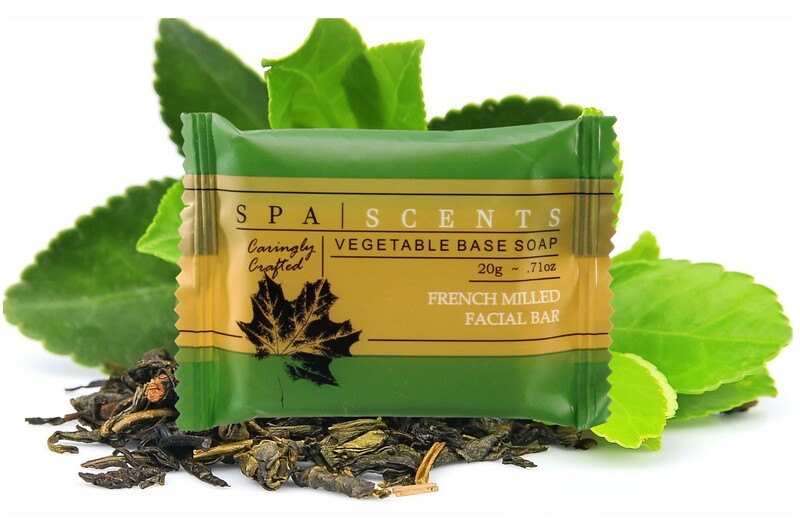 The gentle French milled vegetable based soaps in this hotel amenities set are made with natural ingredients, will moisturize and exfoliate while the luxurious glycerin bar is soothing, high performing, and sure to pamper your guests during their stay. 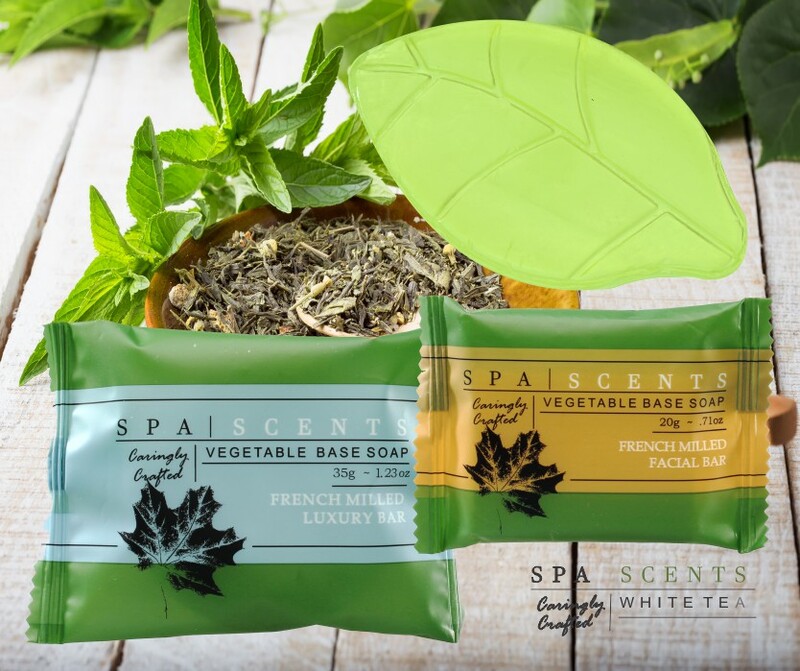 The soaps offered in this line of guest room toiletries consist of a 20g Facial bar, 35g Luxury bar, and our top-quality glycerin leaf bar - a selection that your guests are going to love and remember! 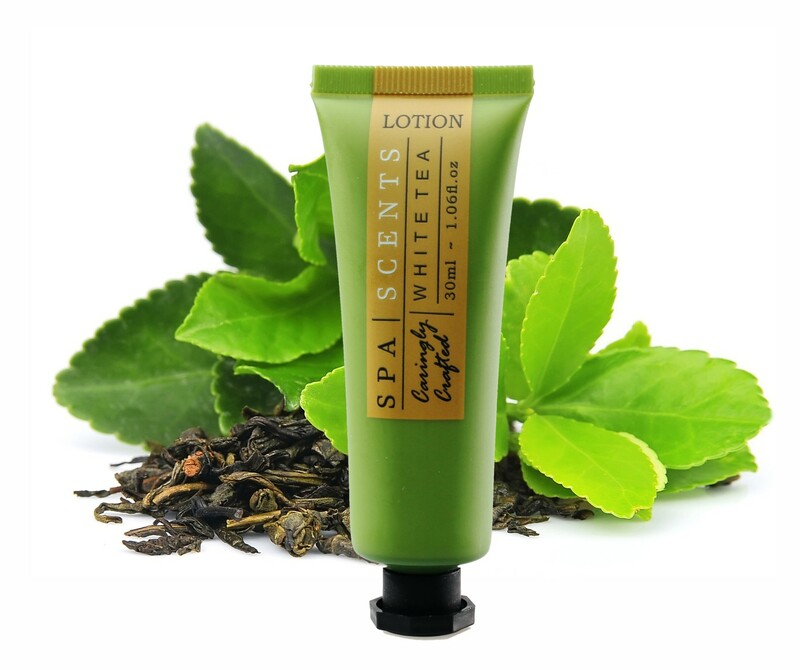 "We found the Spa Scents toiletries from searching online and they are perfect for us. Our guests really like the product." "Great find and quality! Shipping comes quick and the order process is super straightforward. 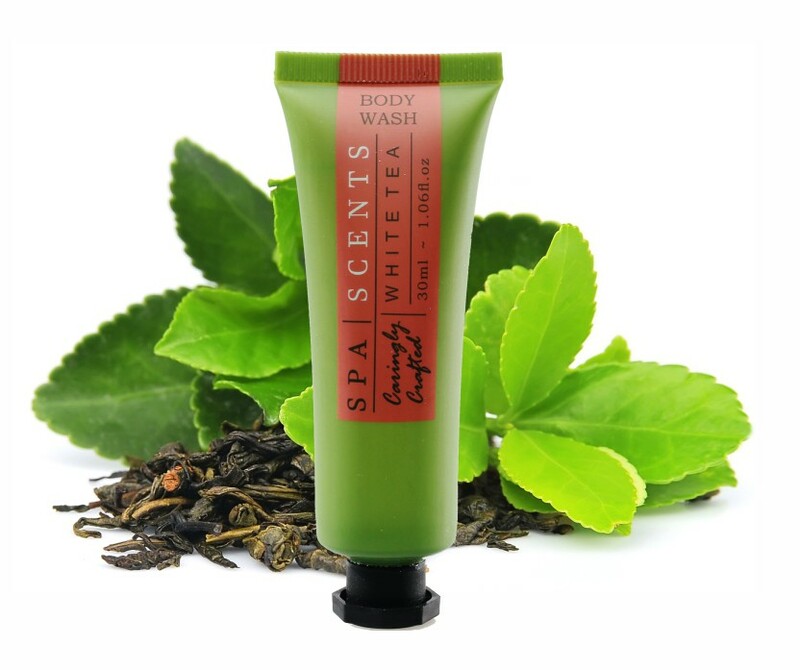 Our visitors comment all the time on the nice scent and upscale look." 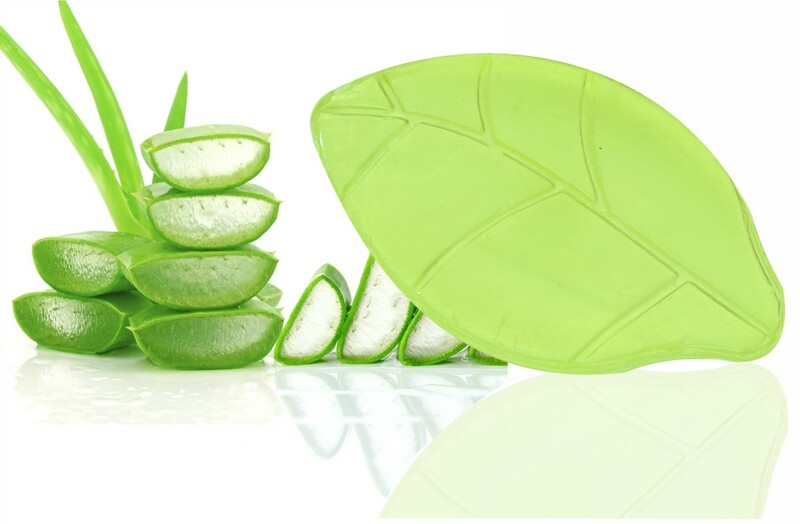 "Absolutely love the lather of this soap! 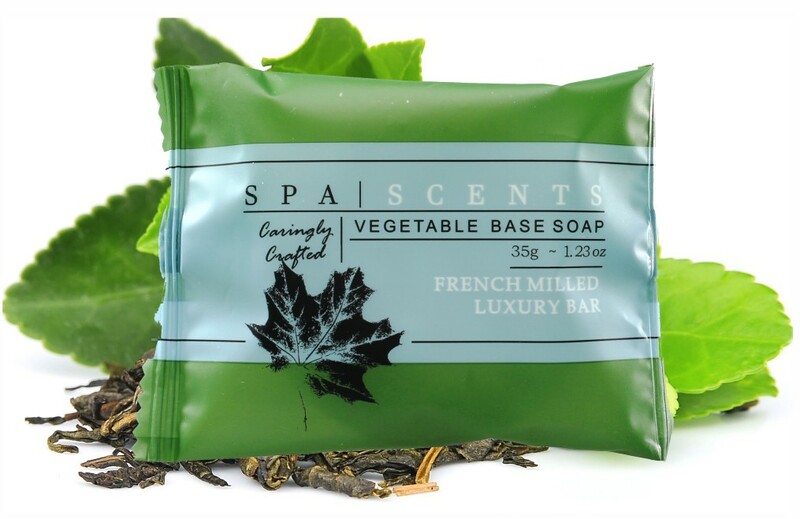 We have been operating our Bed and Breakfast for years and have never found a company that offers such quality for soaps and toiletries!"